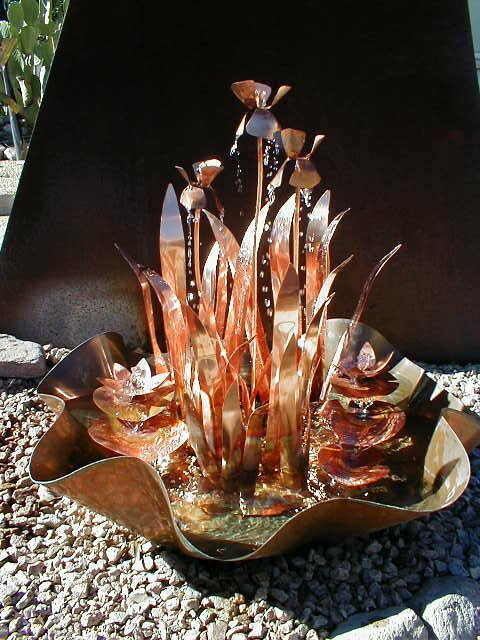 Believe it or not, we can grow iris here in the desert. 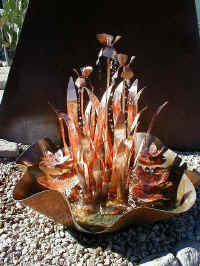 There's a fabulous iris garden only a few miles from here. 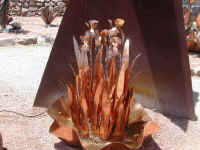 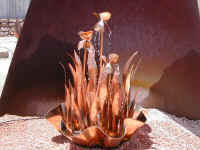 It always inspires me - hence the wide range of sizes and styles of iris fountains displayed below. 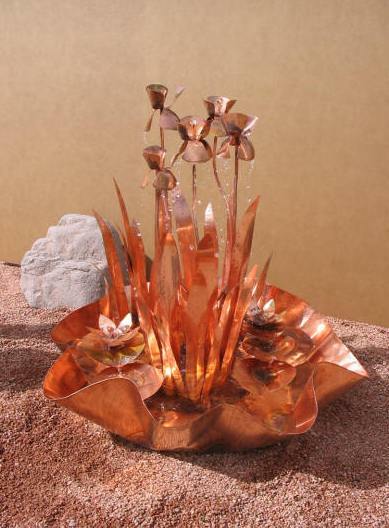 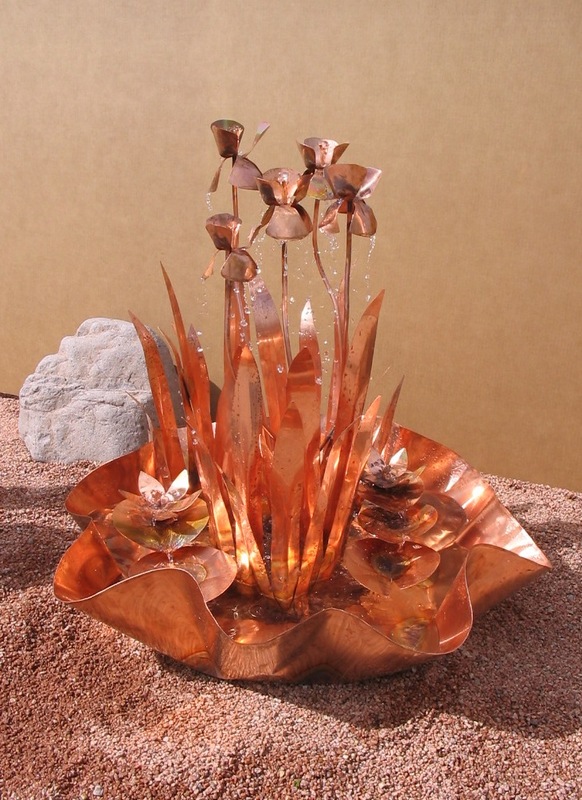 In my opinion, Iris Fountains make the best sound going because water bubbles up each flower stem and then falls off of each down-turned flower petals. 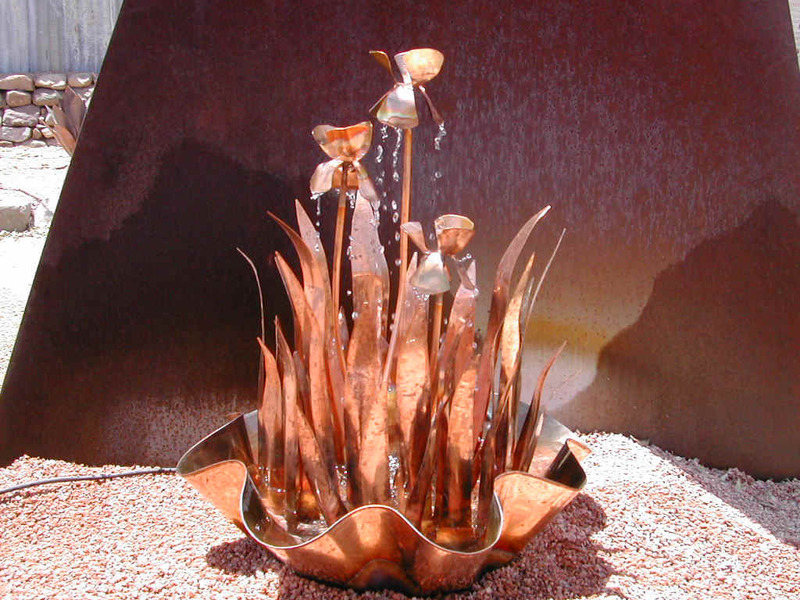 The upright leaves help minimize splash-out.